SMART as Hell » Blog Archive » Photo Jolts! Looking to increase clarity, creativity, and conversation? Photo Jolts! shows you how to leverage the power of photographs to improve yourself, your team, or your organization. Master trainer Thiagi and SMART as Hell.com founder Glenn Hughes share 51 activities (with over 300 variations) that are tested and proven to help participants think, talk, and take action. 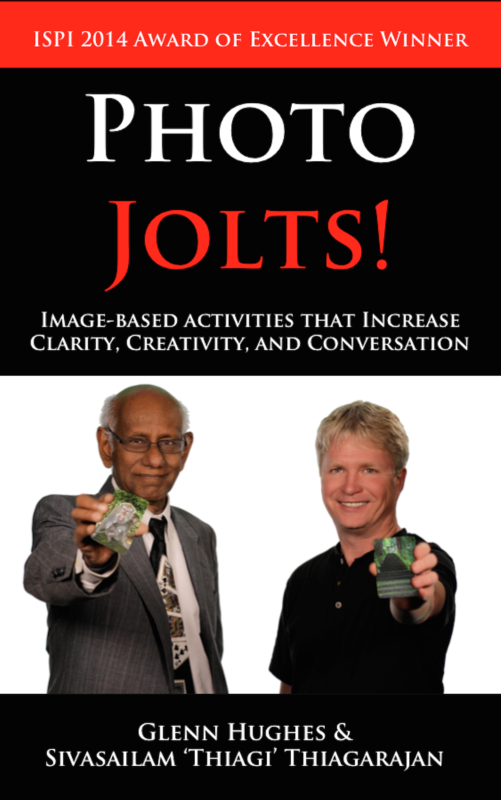 If you want to improve your thinking while having fun, get Photo Jolts!